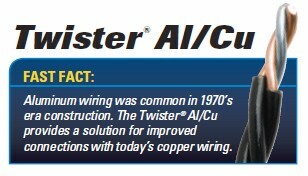 The Twister® Al/Cu is the only UL listed aluminum-to-copper twist-on connector that prevents aluminum oxidation while providing a secure connection. 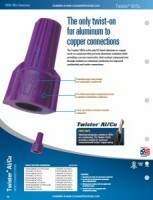 Anti-oxidant compound cuts through oxidation on aluminum conductors for improved conductivity and cooler connections. 2. 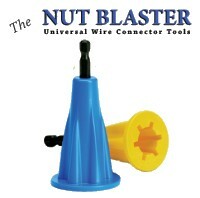 Do not use on aluminum to aluminum wire combinations. 3. Wiring must comply with all applicable electrical codes.